Praises for Hunting Lila! There's never a dull moment in Hunting Lila; it keeps me on the edge of my seat throughout the whole journey. This is a book about Lila, a girl who found out about her unique ability after involving in a mugging incident. She set of to California from London to find her brother Jack and his good friend (her long time crush), Alex. However, they seem to be hiding something from her, something about her mother's murder. There's more to this than meet the eye. And there's a little surprise element in the book! I simply adore the whole plot, characters and even the book cover! I've heard about this book a lot from bloggers and decided to grab a copy and it didn't disappoint me! It was so captivating that I finish the whole book in about 6 hours, maybe slightly more than that. Now, I'm itching to re-read it again. That's how good the book is! 5 Stars for Hunting Lila! 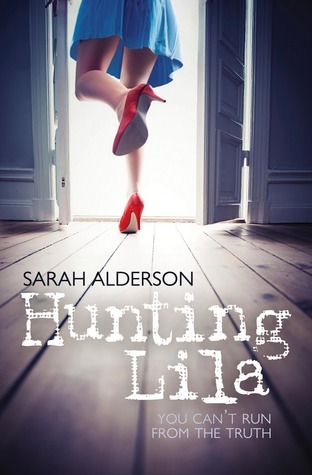 Hunting Lila definitely sounds like a great read. I would very much like to read it. I need to see about picking up a copy. Thanks for the recommend. You're welcome! The second book will be out really soon. *hint hint* :D There's a giveaway at Goodreads for Losing Lila (the second book) if you are interested.